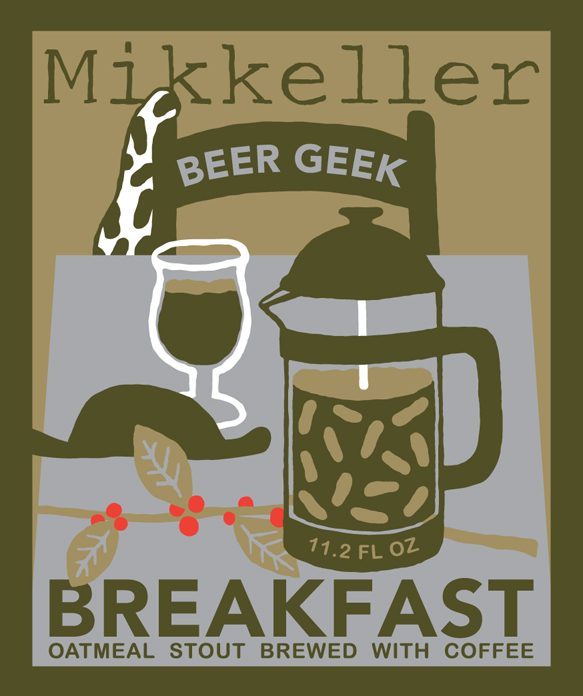 Ask any beer geek . . . . a hearty, complex stout is the tastiest way to begin the day. This unique mix of an oat and coffee stout creates an intense, full-bodied beer that is surprisingly balanced and full of new taste adventures with every sip. The name Mikkeller comes from a combination of the names of the two brewers — Mikkel Bjergsoe and Kristian Keller — who met years ago when they were both elite runners (Mikkel in the 800 meters and Kristian in longer distances). In fact, Mikkel and his twin brother Jeppe (owner of Copenhagen’s best beer store) were once Denmark’s record holders for the 800 meters, separated in time by less than 1/10th of a second. Now, they occasionally pull their running shoes out, but brewing eats into what little spare time they have. During the day, Mikkel is a school teacher, and Kristian a music critic, but their passion is brewing, and it shows in their work. A leader in the Danish brewing scene, many of the highest-rated Danish beers are from Mikkeller. The brewery has been voted the Best in Denmark by the Danish Beer Enthusiasts, and Beer Geek Breakfast the very best beer of Denmark. Look for lots of new and crafty beers from this talented pair of brewers.